The kitchen features a door to the rear garden. The separate lounge room offers flexibility as it could also be used as a family room and an under stairs cupboard located in the lounge provides practical storage. 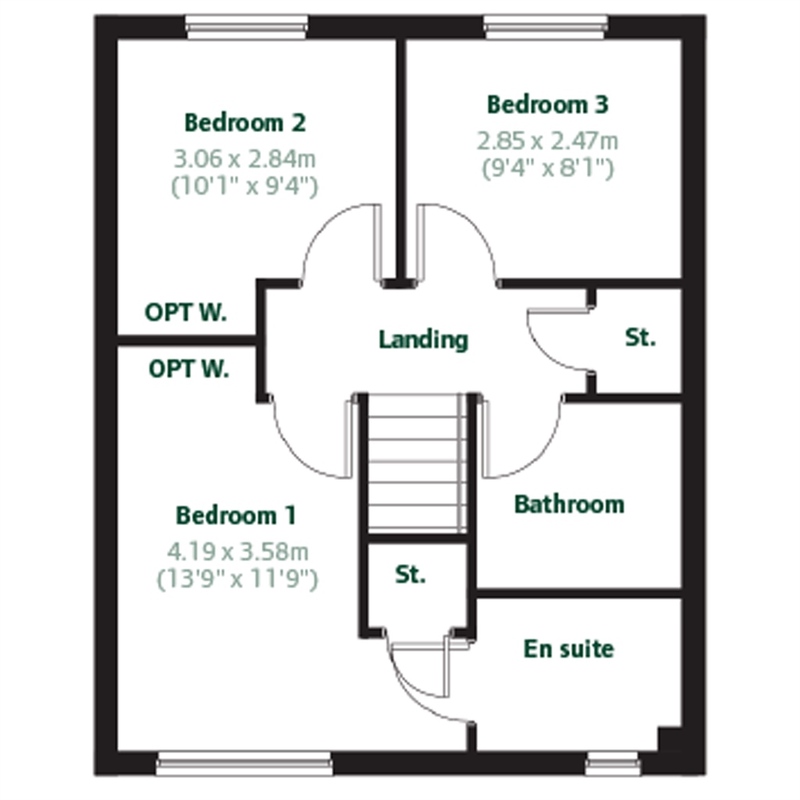 The first floor features three generously-proportioned bedrooms and a family bathroom. 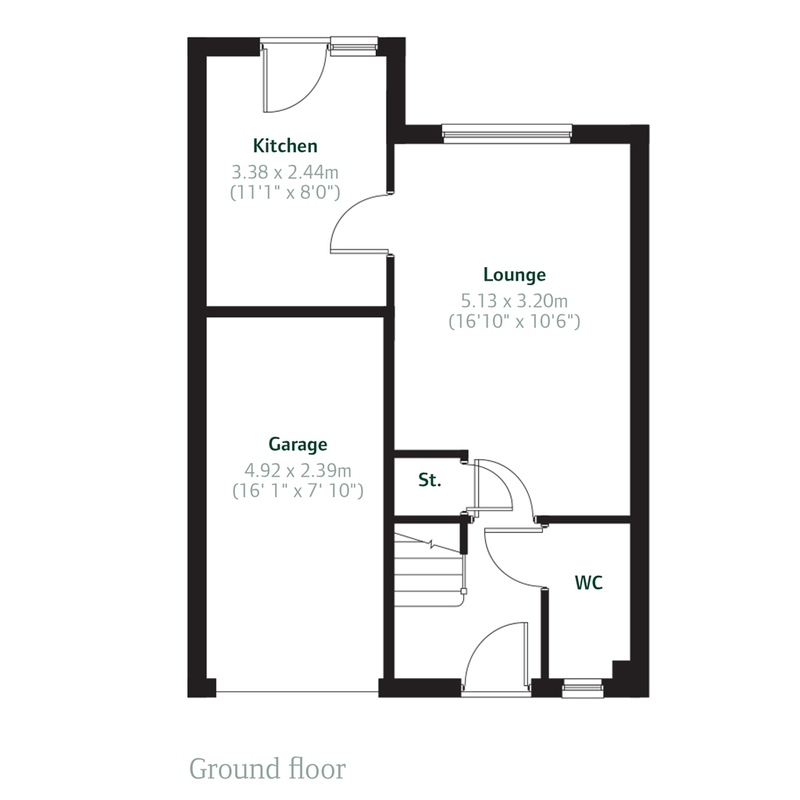 The master bedroom has en suite, bedroom 1 and 2 offer optional wardrobes; there is also a storage cupboard on the landing. Disclaimer: There are variations of each house type. 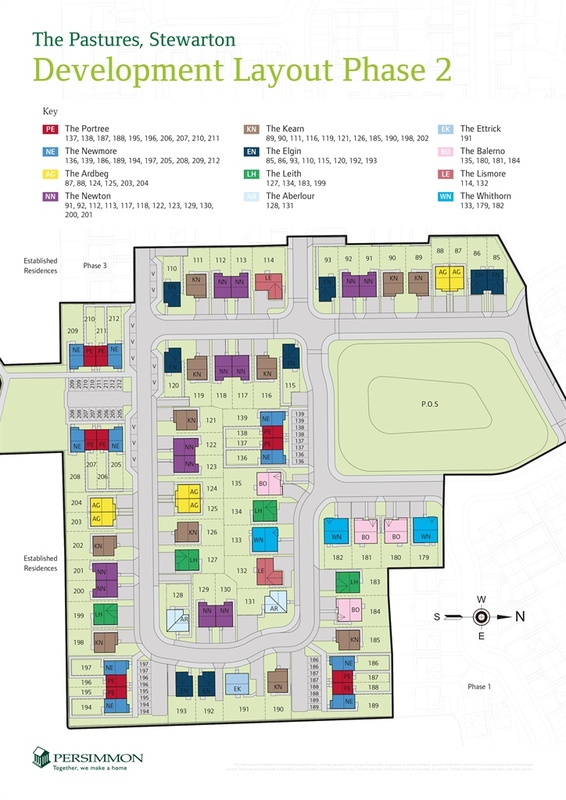 Please ask a sales advisor for more information on the type of Newton used at this development. The Pastures is a stunning new development of two bedroom bungalows and two, three, four and five bedroom homes coming soon to the charming village of Stewarton in East Ayrshire. The mix of terraced, semi-detached and detached homes will provide housing for a broad range of households and ages, meaning The Pastures could be the perfect fit for you. With its ancient castles, stunning country parks, world-class golf courses and 84 miles of captivating coastline, Ayrshire has it all. Perfectly placed to make the most of everything the area has to offer, Stewarton is one of Ayrshire's hidden gems. Perfectly positioned to enjoy the stunning countryside, The Pastures is only 10 miles from the east coast with its glorious golden sandy beaches, 22 miles south of Glasgow's bustling city centre and just over a 10-minute drive from Kilmarnock, Ayrshire's second largest town. Whether you are taking your first step on the property ladder, looking to invest or expand your family, The Pastures is sure to have what you need. Arrange an appointment to find out more information. The Pastures will offer easy access to a wide range of amenities, including the town's recently opened state-of-the-art sports facility. Families with children will be pleased to know that playing fields are located next to the development. The Stewarton Woodland Action Trust is also building an extensive network of joint pedestrian, cycle and equestrian paths in the Stewarton area so you can really enjoy the best of the local countryside. Dean Castle Country Park in Kilmarnock is also a popular attraction boasting 200 acres of country parkland, an adventure playground, pets' corner, woodland walks, and family events throughout the year. The Pastures is also close to well-respected schools including two primary schools and Stewarton Academy providing secondary schooling for the town and surrounding villages. 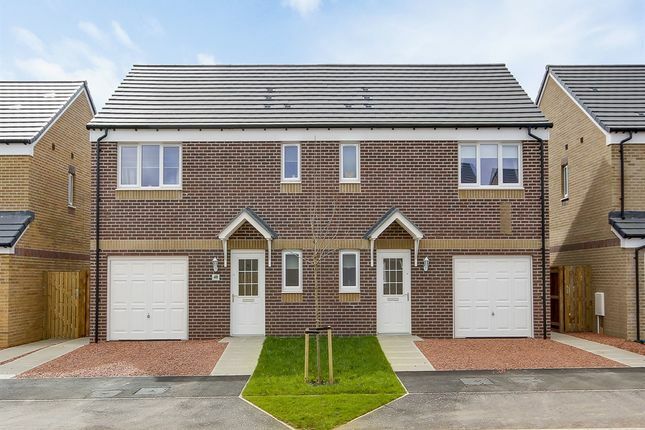 Ideal for growing families and those looking to make the most of the town's fantastic location, the development is sure to have what you need. Want to enjoy country living but need to commute? Glasgow's city centre is only a 30-minute drive away and is easily reached via the M77, and Stewarton also has a railway station on the main line to Glasgow with a regular train service reaching the city in less than 30 minutes. There's a good local bus service and for travel further afield, Glasgow and Prestwick Airports are easily accessible and are only 15 and 17 miles away respectively. Traveling southbound on the M77 from Glasgow, exit at Junction 7 (Fenwick) and follow signs for Stewarton. Continue along the B778 for approx 3 miles before turning right at the give way. Continue along the B778, through the crossroads and past the playing fields on your left. The site sits on your left hand side thereafter. Property descriptions and related information displayed on this page, with the exclusion of Running Costs data, are marketing materials provided by Persimmon - The Pastures, and do not constitute property particulars. Please contact Persimmon - The Pastures for full details and further information. The Running Costs data displayed on this page are provided by SmartNewHomes to give an indication of potential running costs based on various data sources. SmartNewHomes does not warrant or accept any responsibility for the accuracy or completeness of the property descriptions, related information or Running Costs data provided here.